There are many reported side effects of omega 3 fatty acids, whether they come from plant-based sources, such as flaxseed, or fish sources, such as fish or krill oil. Eating foods with omega-3 fatty acids is unlikely to produce side effects. Taking high dose supplements, however, can cause many uncomfortable and sometimes serious problems. Some side effects of omega 3 fatty acids are specific to the type of supplement one takes. The freshness of the supplement is also a major factor. Fish oil supplements, for example, are notorious among consumers for causing a very unpleasant fishy aftertaste or the infamous "fish burp" which can make you uncomfortable. Although higher quality supplements such as the Nordic Naturals brand tend to create no or very little fish odor or taste, most people report similar side effects. Krill oil supplements have less of a reputation for creating these side effects, but they tend to be much more expensive than the usual fish oil supplements. Flaxseed sounds safe too, but it has its own share of side effects. The majority of side effects actually come from ingesting rancid oil. According to Dr. Michael Eades, author of Protein Power and Protein Power Life Plan, fish oil becomes rancid quite easily. Referred to as oxidation, rancid fish oils lead to lipid peroxides, which can damage fatty cellular membranes. The best way to avoid oxidative side effects from rancid fish oil is to bite into each fish oil capsule before you take it in order to ensure that it isn't rancid. Upon biting into the capsule, you will quickly learn if it has gone bad as the taste is very distinctly unpleasant. If you find one rancid pill, throw out the whole batch. If, however, you can't stand the thought of biting into a fish oil capsule, then you may wish to purchase a liquid fish oil. There are several that have a pleasant flavor, including Carlson's Lemon-flavored fish oil and Barleans Omega Swirl. The Carlson's has a very mild lemon flavor that isn't unpleasant, while the Barleans tastes like lemon pie. Both need to be kept refrigerated and used within a few weeks after opening. There are several potentially serious side effects of omega 3 supplements, regardless of the brand. Most serious side effects come from taking more than the recommended dose, which is between one and four grams per day for most people, or from having a high-risk health condition. Most supplements available over the counter are not approved by the FDA, so anyone choosing to use one should proceed with caution. According to the Mayo Clinic, side effects may also include nausea, oily stools or diarrhea when taking high doses of supplements. Conversely, too much flaxseed oil may also cause constipation. Discontinuing the supplement seems to reverse either condition. According to the US National Library of Medicine - Medline Plus, too much omega 3 may cause clotting problems. Symptoms include easy bruising or bleeding, and may also lead to gastrointestinal bleeding, a much more serious, albeit rare, side effect. The recommended amount to prevent this problem is no more than 3 grams per day. Bleeding in the brain can cause a stroke, and while omega 3s have been found to have a positive impact on cardiovascular health, they may also cause strokes at higher doses. Signs are severe headaches, double vision, slurred speech and numbness, tingling or difficult coordinating both sides of the body. Seek immediate and prompt medical attention if any of these symptoms occur. The sooner you get treatment, the better in the case of potential strokes. Some Type 2 diabetics taking omega 3 supplements report slightly higher levels of fasting blood sugars.. If you have diabetes, tell your health care provider about any supplements you're taking and monitor blood sugar levels carefully. If the omega 3 supplements are affecting your blood sugar, your doctor may need to adjust your insulin dose or take you off of the supplements. If you have a fish, seafood or shellfish allergy, you may experience an allergic reaction to supplements made from these sources. If you do experience an allergic reaction, seek medication attention. Krill oil supplements should be avoided by people with allergies to shellfish. Unlike fish oil capsules which are generally made from cold water fish, krill are tiny crustaceans (shellfish). If you're allergic to shrimp and other shellfish, you are probably allergic to krill too and should avoid this supplement. Try flaxseed oil instead if you want to get more omega 3 fatty acids. 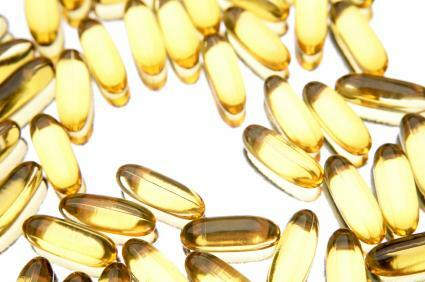 While there are some reported side effects, truly life-threatening side effects of omega 3 supplements are rare and usually happen only when people go overboard and take mega doses. As always, follow the package label on how much of any supplement to take and seek prompt medical treatment for side effects. Always tell your doctor about vitamins, supplements and other natural products you're taking. Many interact with prescription medications.